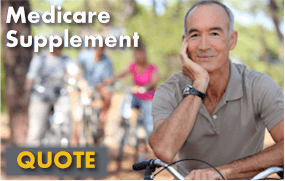 The employer application is one of the key documents needed to enroll in group health insurance in California. Sometimes called the "Master Contract", it establishes the contract between the employer and health insurance carrier. Some of the sections are basic in terms of what is needed while others reflect California's high level of legislation and regulation. Let's take a quick look at a sample Employer Application to help simplify it's completion. The first section is where you list pertinent company information such as name, address, phone, etc. The carrier may also ask for the SIC code which is the federal code for your type of industry or business. You can find your company's SIC code with a simple look-up. You will also need to enter the type of company: Corporation, Partnership, Sole Proprietorship, or Other. LLC can be listed under other. Each type of company will have different documentation requirements. There may also be an area asking if you have been insured by the carrier for the past 12 months. They ask this question since you may have to wait 12 months before being able to come back on board if you cancelled coverage already under this same group. There will be a section where you designate both your plan choice and how much the company will pay towards the premium. It is important to be sure about this as it will likely hold at least 12 months. Changing plans can be difficult if not impossible outside your anniversary date. Some carriers such as Anthem Blue Cross offer Employee Elect which allows you to offer the full suite of health and dental plans to each employee and designate your contribution based on a fixed amount (say $100 monthly per employee) or a fixed percentage (say 80% of any plan or 80% of a given plan). The same contribution strategy must be applied to each employee. You cannot discriminate and offer better contributions to some employees and not others. 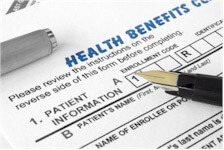 For AB 1672, or Guaranteed Issue group coverage in California, the employer is required to contribute at least 50% of the employee monthly health premium. There is no requirement for dependent coverage contribution. You can apply different numbers to employee contribution and dependent contribution (if at all for dependents). If you choose the Employee Elect option, there is usually an "All Plans" selection. We advise this approach as it allows a great deal of flexibility while allowing the company to control it's contribution levels. The Group dental section works the same way and has the same 50% requirement mentioned above for health benefits. Group vision has the same 50% requirement but one vision benefit is usually chosen for the entire group. 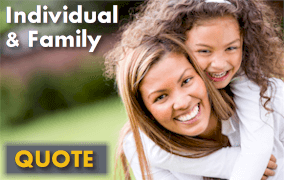 California Life Insurance varies depending on the carrier. There are required contribution levels (usually lower than the 50%) but you may also have schedules of benefits you can offer. For example, you may want to apply the same level of life insurance for all job titles of offer different life insurance levels by job type (say officers, managers, supervisors versus all other group members). You can also apply a certain amount times salary. There may be an option for a P.O.P. or Premium Only Plan. This can be very advantageous when employees on salary will by paying part of their monthly premium (including dependents). Essentially, with a POP, the employees can pay their share of the premium pre-tax. This saves them income tax on their contribution and it saves the company payroll FICA tax on that amount. The employer's savings usually pays for the cost of the plan (runs around $120-150 annually) with some savings to spare depending on the amounts contributed by the employees. Of the eligible people, we need at least 75% of them to enroll on the plan. Employees on another group plan can be waived from the eligibility pool. This above calculation is the one that causes the most issue for qualifying with Group health insurance. You will also find questions that speak more to regulation at the Federal and State level. The questions regarding Cal-Cobra versus Cobra, Family Medical Leave Act, and TEFRA/DEFRA are all linked to the size of your company. You will now deal with more general requirements/statements about your proposed small Company. 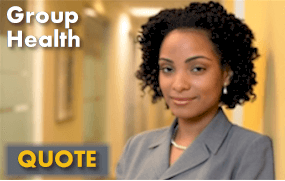 What effective do wish to request to start your Group health insurance? Prior Group health and dental insurance for this company information? Any employee unable to work due to injury or illness? There may be a section to designate how ERISA looks at you. On the Blue Cross Employer Application, there is also a section to initial part of the contract regarding Rescission. Following, is the signature section for the Contract itself. This form is used if your company had other Group health insurance (under this company) and there are employees on that Group plan through Cobra. The carrier will need this information as they do not show on the DE6 or payroll. 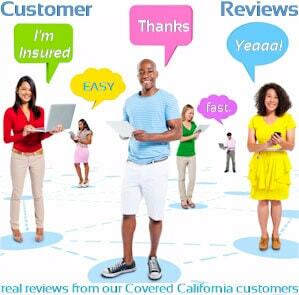 You can run your California Group Health Plan Quote here to view rates and plans side by side from the major carriers...Free.